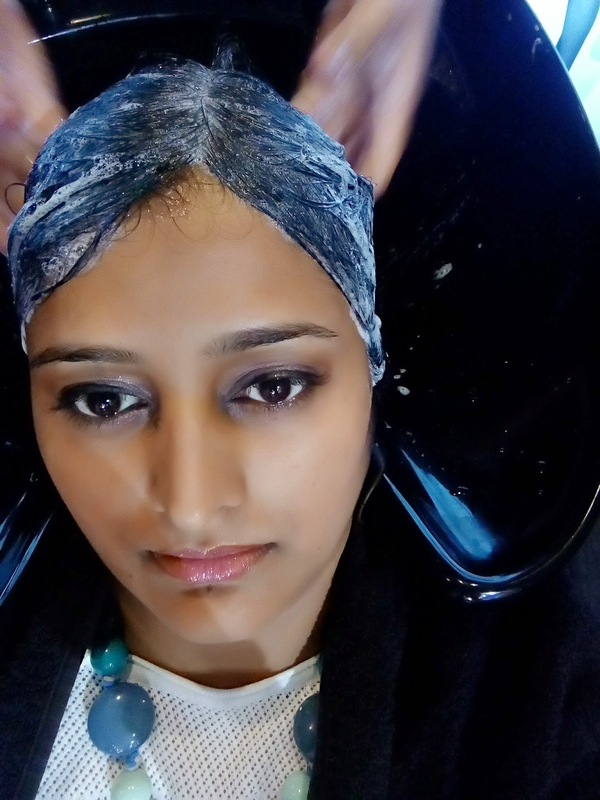 Hair is crowning glory and the one sure to make and leave long-lasting impressions. Hair is something that I do not like to experiment much unless I am sure of the products. At the onset of Summer, I was little worried about my hair as they were losing texture and sheen. The usual woes that summer brings along with. 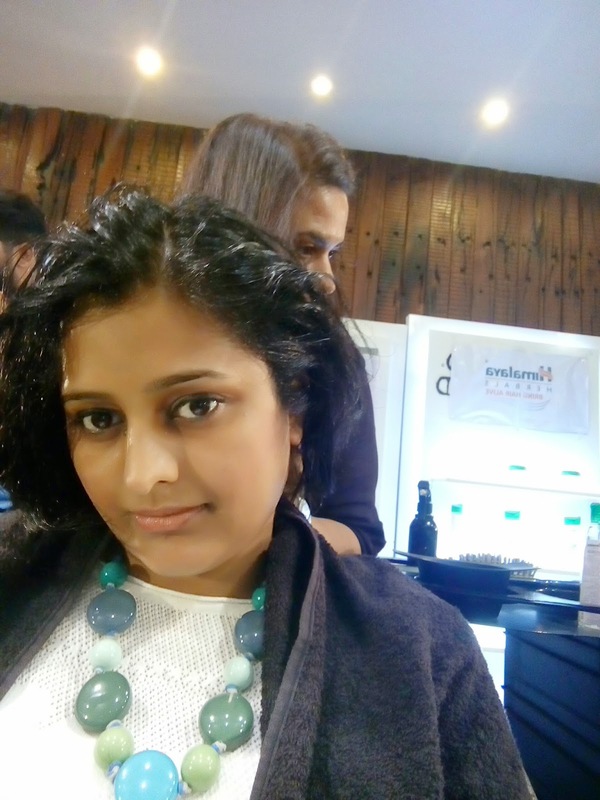 While I was contemplating haircut and a spa, call it a telekinesis or something sort of, I got a call from the lovely team of Himalaya Herbal who had a trick up their sleeve to "Bring Hair Alive" this summer. No extravagant promises were made, no OTT Marketing was enforced. Rather the team just wanted me to come over and "experience" their product and give a feedback on the same. 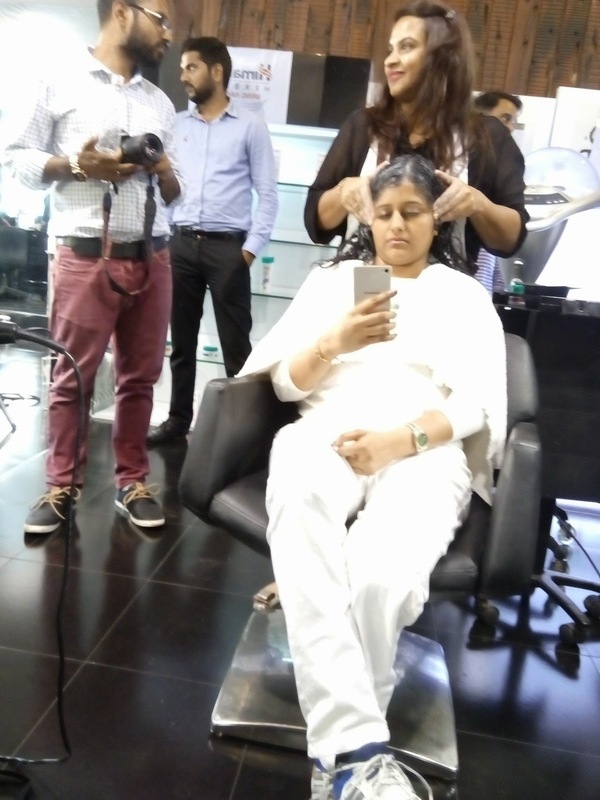 Himalaya chose a good looking, well located, upmarket "The Asif Salon" in Andheri Lokhandwala for the experience. 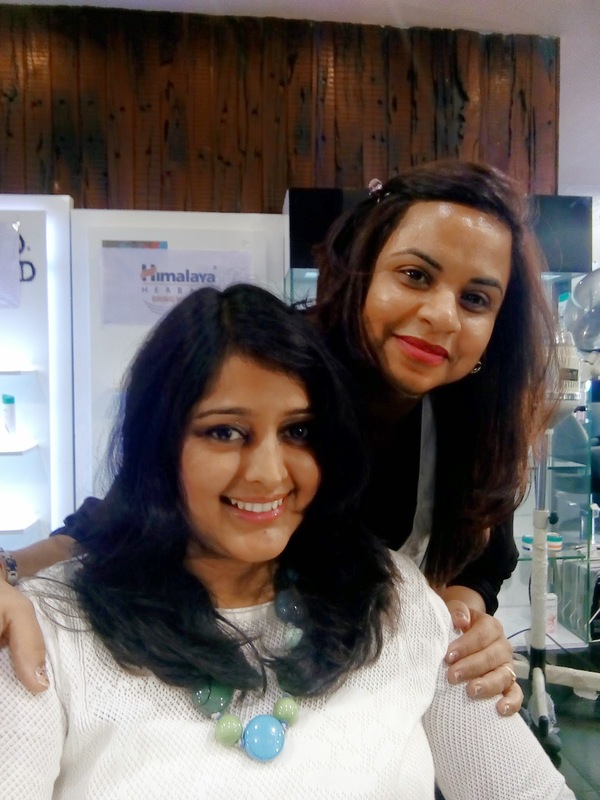 The spa was extended to top 10 bloggers in the city in two batches- 5 each. Before the session, each of us was asked to give video bytes on who we are, what are our hair woes and what are we expecting from #bringHairAlive. The crew was absolutely professional and so were the staff from "The Asif Salon" who, duly tended us right after we finished our shoots. The friendly Ruby from the Salon attended me and got me seated to examine my hair type in order to suggest a suitable range for me. 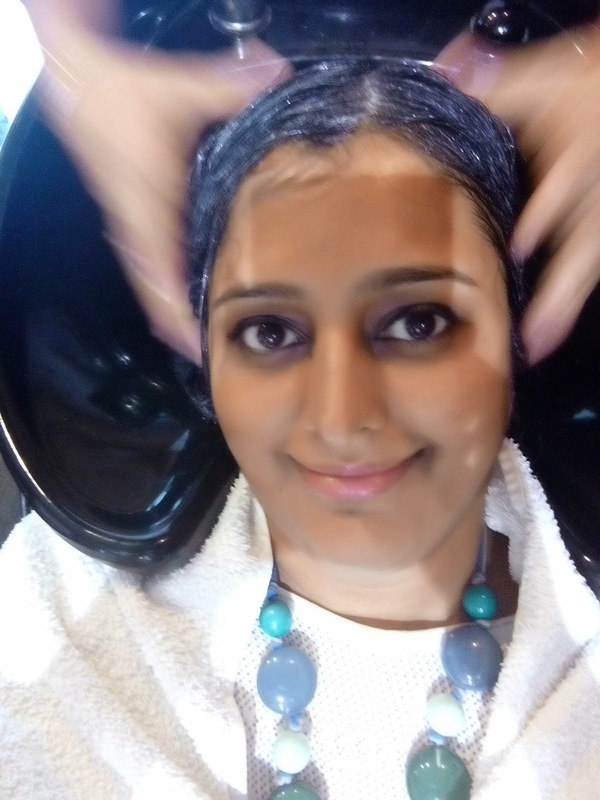 We zeroed down on "Anti Hair Fall solution" and then began the Hair Spa session. 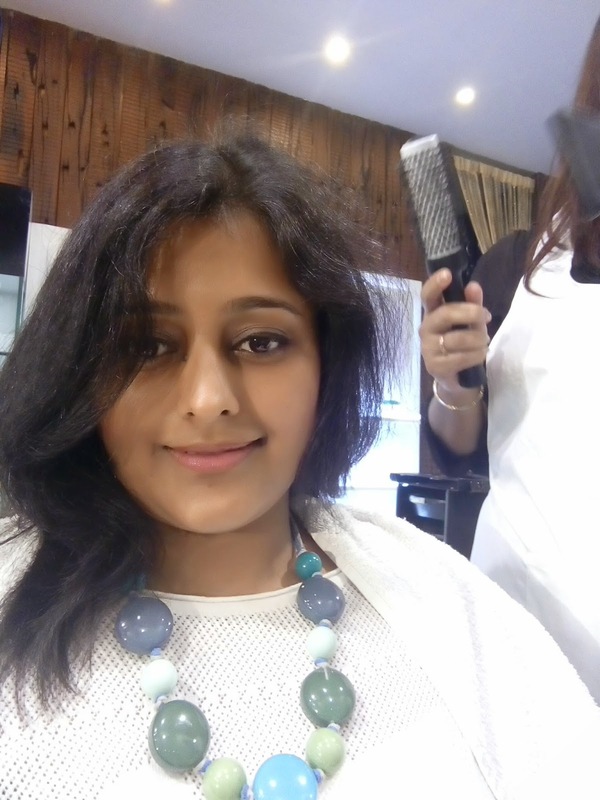 Let's get started- I, with my hair spa specialist and stylist Ruby. 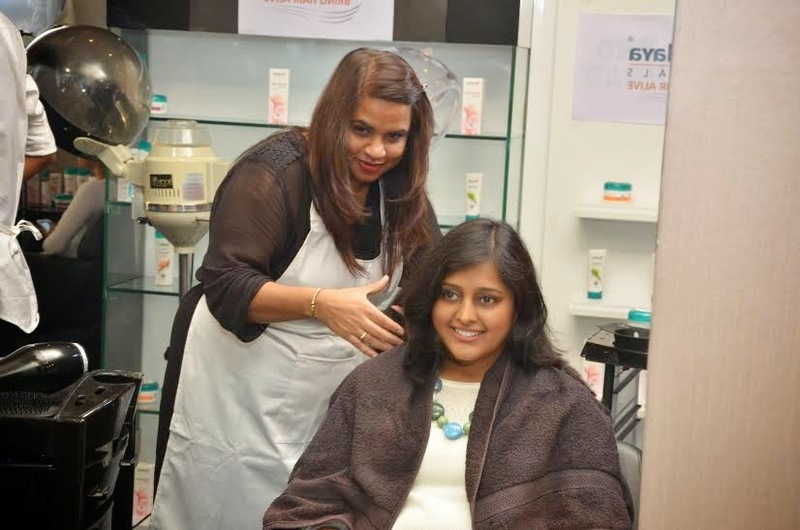 Ruby started the process by oiling my scalp with Himalaya Anti Hairfall Oil. Wherein she applied the oil on my scalp and massaged it for around 10 minutes before we hit to hair wash station. Shampoo your hair with Himalaya Anti Hair Fall Shampoo which consists of Bhringaraj, an ayurvedic marvel for stressed hair. Ruby used lukewarm water to wash my hair and used the shampoo twice to wash away all the oil. Part your hair and Apply the cream all over your scalp, using a long-tailed comb. Smoothed it till the end of lengths. Ummm...The head Massages are so therapeutic! The cream needs around 10-15 minutes to penetrate in your hair and work. In the meantime, take hair steam to allow deep conditioning and cream nutrients to penetrate deep through hair shaft. The cream has an interesting creamy texture and I so much loved the mild fragrance. Beauty is, the cream in spite of a good amount of steam, stayed in hair and did not drip over my face. Wash your hair with only lukewarm water and apply Himalaya Herbal Gentle Daily care Protein Conditioner. 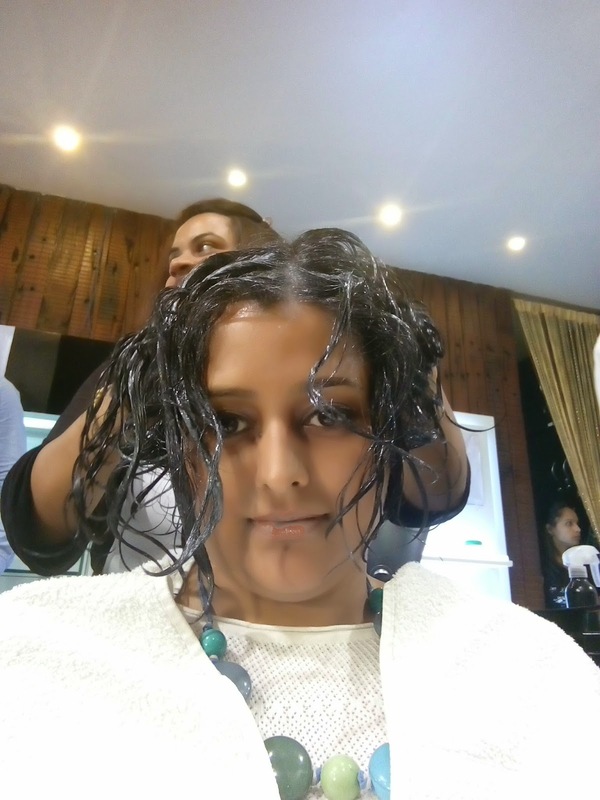 At this stage, you need not have to reapply shampoo but just conditioner and rinse thoroughly. Dry your hair using a towel or if need be, a hairdryer. I would although not recommend using a dryer post hair spa so that the effect of the spa stays longer. 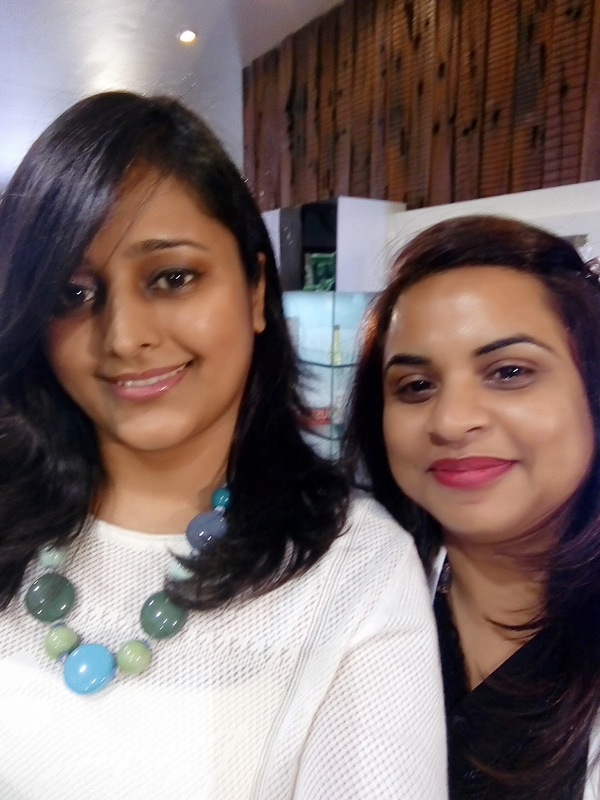 Well, that was my #BringHairAlive hair, post the #HairSpa using @HerbalHimalya's products. 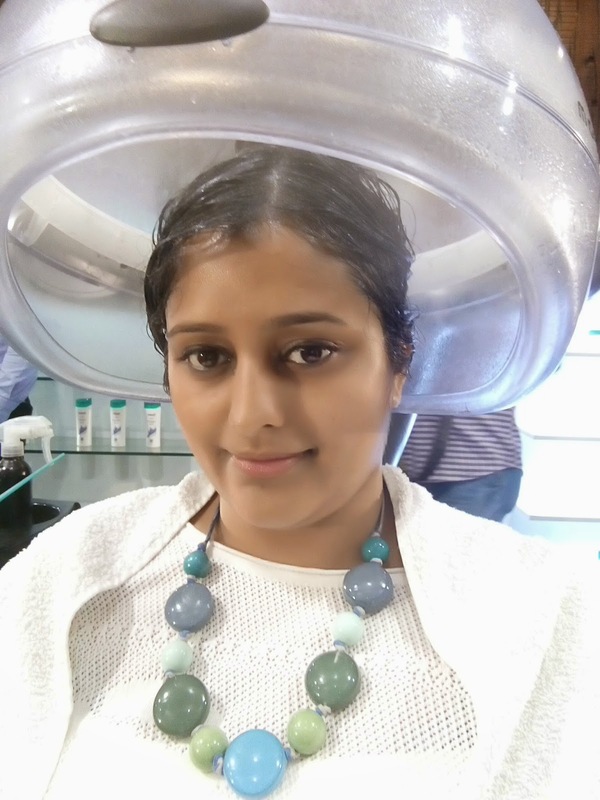 My Experience: My overall experience was good and really loved my hair post wash and blow dry. The range was not overly high on chemicals and gelled well with my overall hair texture and body. The products were hypoallergic and I saw no adverse effect till date. The best part was that my hair felt good for next 4-5 days even without shampoo. Whether hair reaped benefits or no, is something that can be judged over a period of time as it would be too early to judge. Will I use their products again? Well, the marketing team did hand me all the products they used on my hair. I did use all of them especially the shampoo and the conditioner and having a good post usage experience thus far. To commemorate this journey, here are the two looks- Before/After. Post the session, the camera crew requested our post-experience feedback and sound bytes. Unlike hitherto when I gave my soundbyte in a single take, this time I was quite absorbed in my hair and took 2 retakes to finish my piece. Yes, I loved my hair post the session. So much that I could not stop touching them or run my fingers along. Not just the products but the choice of the salon was good. I am contemplating a haircut and considering The Asif Salon as well. 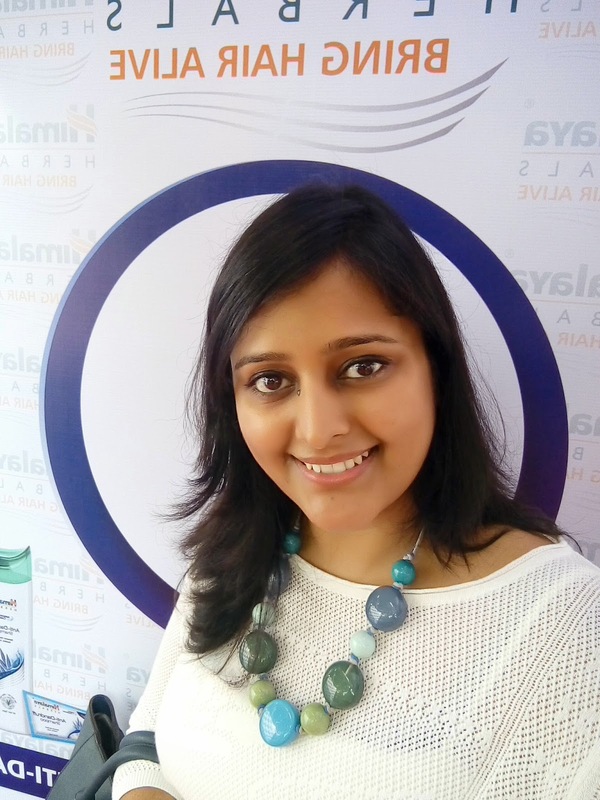 We also had a hearty interaction with Himalaya Brand and Marketing team who keenly took our feedback. 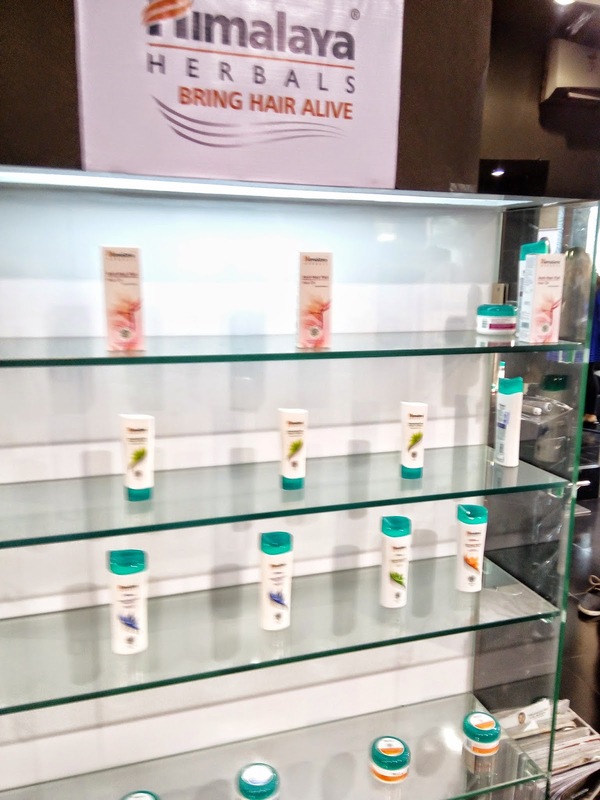 I spoke to them on evolving products and positioning [via substantial R&D] towards a niche market, breaking the clutter that numerous hair care products have inundated the market with. Post the experience, we were treated to some lovely Coffee and Pasta at BRU world next door. Coincidentally, it was the same cafe where my 'Coffee flavor" was sampled under "Critic the Critique" program. The lovely PR team escorted us throughout, carefully noting our overall experience, feedback. Yes, Indeed. Priyanjana. It was wonderful. Yes they did. Must try Shweta.